The Grey Metallics collection features 3 shades of gorgeous grey to wow the most fashion-forward of clients, including Light Aluminium, Medium Graphite and Dark Anthracite. Like all Osmo Ikon permanent hair colours, they use an exclusive micro-connective technology with sunflower seed extract to guarantee consistently perfect results at every stage of the colouring process. For best results mix with Osmo Ikon Cream Activator for permanent colour or Osmo Ikon Tone-on-Tone Enhancer to refresh or enhance existing colour. 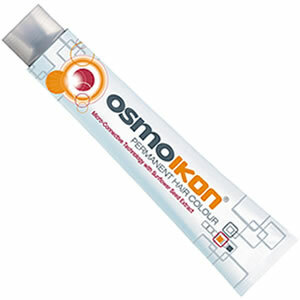 Buy any 7 Osmo Ikon tubes for the price of 6, taking the average price down to a pocket-pleasing £3.42 per tube!! 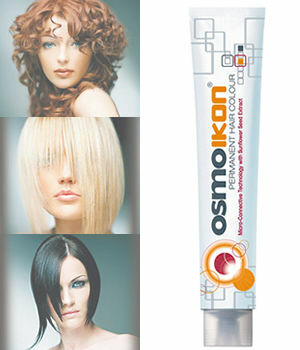 Optimised for Osmo Ikon permanent hair colour this cream peroxide is available in 4 strengths: 10 vol (3%), 20 vol (6%), 30 vol (9%) and 40 vol (12%). All strengths come in 1-litre bottles. The 40 vol also comes in a 200-ml bottle. Designed for use with all Osmo Ikon permanent hair colour when you need to revive or enhance existing colour. Covers up to 50% grey hair.